Students from kindergarten through 12th grade are welcome to cast their ballots for national and state leaders every election year. The National Student/Parent Mock Election foreshadows the way Americans will vote in the November general election. By taking an active role in the mock election, students learn that their opinions and convictions do matter. 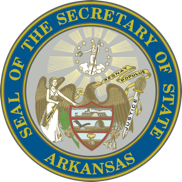 Secretary of State John Thurston will certify the Arkansas students votes in the state election headquarters at the Arkansas State Capitol. To have your school participate in this program, please contact Katie Bass at (501) 682-5279 or at katie.bass@sos.arkansas.gov.